Born on December 6, 1900 in Traer, Iowa, Allen Gordon Lumm attended schools in Colorado and California before completing his B.S. in Architecture at the University of Minnesota in 1925. Lumm worked briefly in Colorado before moving to Washington state. 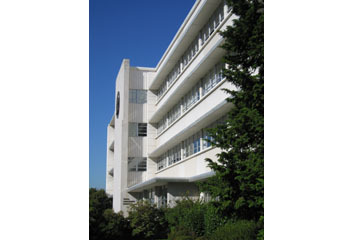 From 1931 to 1932, he practiced with fellow architects Ambrose J. Russell and Gaston Lance in Tacoma. Together, the firm of Russell, Lumm & Lance designed many period revival homes in the Tacoma area. 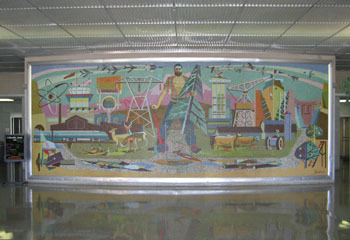 Lumm was involved in the design and alterations of many public buildings in Washington during the 1940s and 1950s. His largest projects included the Male Ward Building (1948) and Cadet Nurse Home (1947) at Western State Hospital near Steilacoom; the General Administration Building (1956) in Olympia; the County-City Building (1958) in Tacoma; and alterations and additions to the Salishan Housing Project (1958) in Tacoma. He also designed the Buckley Fire Station (1952); Steilacoom Fire Station (1953); Tacoma & Pierce County Health Department (alterations, 1950); Mountain View Sanatorium (1951) in Tacoma; Provident Building (alterations, 1952) in Tacoma; Riverside Infirmary (alterations, 1952) in Sumner; the Mark E. Reed Memorial Hospital (addition and alterations, 1956) in McCleary; and Columbia Basin Hospital (1957) in Ephrata. Lumm was an active member of the Washington State Chapter of the A.I.A. from 1942-1965; was a member of the Tacoma Architects’ Association, and served on the Board of Architectural Examiners from 1947-49. He also served on the Pierce County Planning Commission from 1952 to 1957. Lumm passed away in Tacoma on November 30, 2002, just a few days shy of his 102nd birthday. 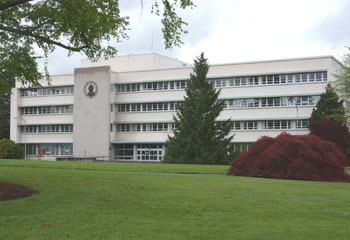 The General Administration Building in Olympia was the first major building to be constructed on the capitol campus after the Great Depression. The building represents the significant growth of state government in Olympia, following World War II, and specifically the re-centralization of government to Olympia mandated by a Supreme Court order in 1954. It is perhaps the best example in the State of the International style.